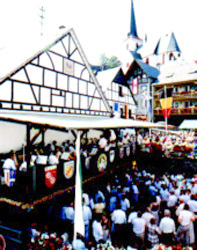 The wine and holiday village Klotten lies between and within easy reach of the large tourist cities of Trier and Koblenz, (if you looking for more action) and in the surrounding area of the district town Cochem. 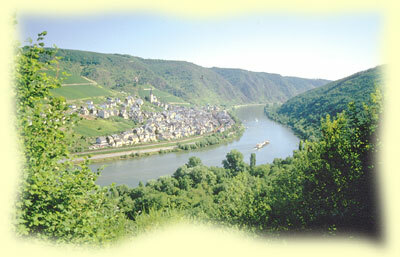 (2 km) Here in Klotten you find peace and tranquility within the rural Mosel, together with genuine hospitality. Here you will find one of the most delightful environments, as the Mosel bends its way through the valley, you can walk via the footpaths through the vineyards and forest. The vineyards extend from the sloping river bank up to the wooded heights of the forest; the houses, the late gothic parish church as well as the castle ruin of Coraidelstein create the landscape and the character of the local picture. 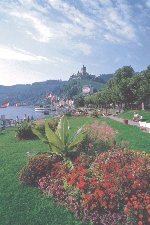 The region around Klotten is not only an old cultural heritage with innumerable sights and a unique natural beauty, but at the same time a cheerful, active holiday region that lets no boredom arise. Look forward to a holiday region with a magnificent natural backdrop and take a restful Mosel vacation! ..because the motto of the last wine festival did not read in vain Klotten International "! 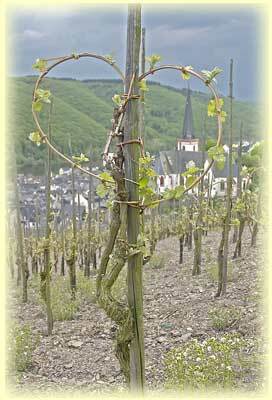 So let yourself be enthused by the rural Mosel and the hospitality, and spend a few days in Wine happy Klotten"